Lenovo Thinkpad 13 Chromebook Touchscreen Arrives In Time For Android Apps – Will HP and Acer Follow Suit? We reported on Lenovo getting serious about Android Apps on their Chromebook 13 over the past couple days and it appears that they have made the necessary changes in the hardware department to fully support their new interest. 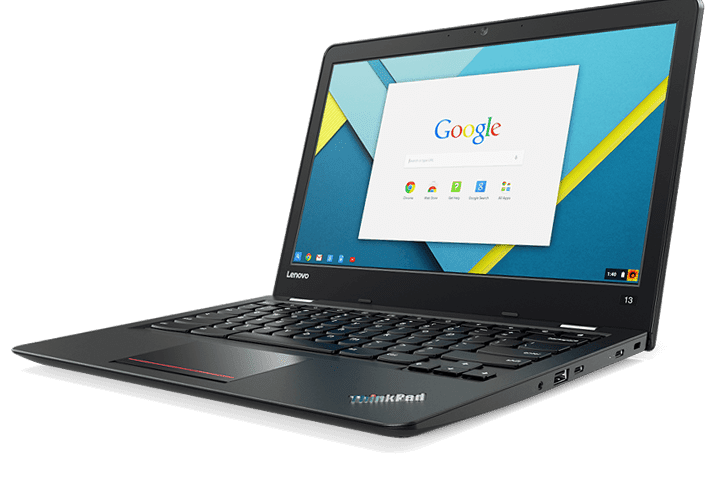 Back in August we had the opportunity to get our hands on the Lenovo Thinkpad 13 Chromebook and came away mildly impressed. While a bit boring, the device was solid, performed well, and was fun to use. Now it looks like the touchscreen option is now available in time for the introduction of Android Apps, likely coming in the next few weeks. If you missed that news, you can read why we think the HP Chromebook 13 G1, Acer Chromebook 14 For Work, and the Lenovo Thinkpad 13 Chromebook should all receive access to the Play Store in the next couple weeks. According to the really awesome ad below, you can see Lenonvo is pushing the touch version of the Thinkpad. When we had our time with the device, touch wasn’t an option. It is great to see this very capable device receiving a touchscreen, adding a needed input method to make the most of Android Apps when they arrive. There have been rumors of a touch-enabled version of the HP Chromebook 13 G1 since it launched, but we’ve not seen any indication of this. We’ve not heard anything about a touchscreen-equipped Acer Chromebook 14 For Work, though. As these two devices are in the same class as the Lenovo – both in terms of performance, kernel version, and mainboard – it only seems natural that we might see a touchscreen version of both of these devices very soon. As I said above, we have nothing other than sound logic driving this hope, but its a pretty strong line of reasoning. 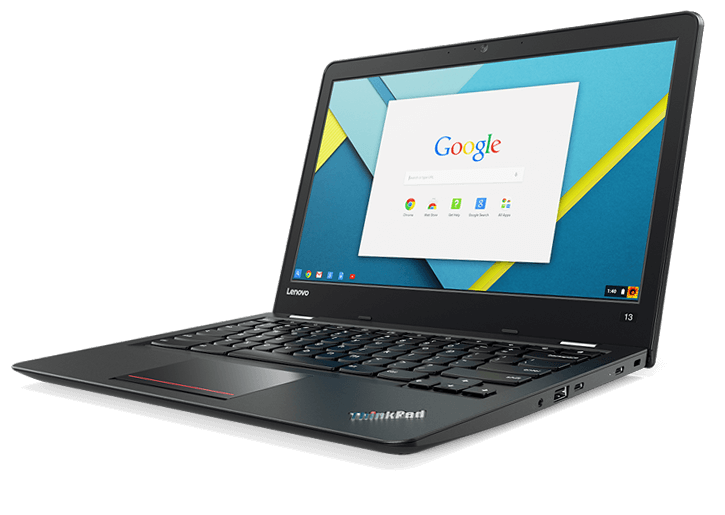 Either way, we know the Lenovo Thinkpad 13 Chromebook with touch is already available right from Lenovo. You can check it out for yourself here and add the touch option to any of the multiple configurations they offer. The add-on adds a reasonable $70 to the bottom line. Not too bad. We’ll keep an eye out for anything pointing to and HP or Acer variant in the coming weeks as well!